Tim Hortons and Zulu Alpha Kilo Want to Know if You’re Ready to Roll? Tim Hortons is encouraging Canadians to warm up their thumbs for another Roll Up the Rim season, and the brand’s biggest annual campaign is officially back in stores on Wednesday, February 6. Roll up the Rim is a yearly contest from Tim Hortons that gives guests the chance to win amazing prizes by rolling up the rim of their coffee cups. In the last several months, the Tims audience has been introduced to a new brand style, starting with the heart-warming hockey story, The Away Game. Azulay promises this is just the beginning of the coffee retailer’s new marketing treatment, and consumers will see more of this with the 2019 Roll Up the Rim campaign. The legendary campaign extends to billboards across Canada, which will feature motivational messages, such as “Roll big or roll home” and “You miss 100% of the rims you don’t roll.” Beyond the traditional outputs, Tim Hortons is also taking a refreshed route into the social and digital spaces. The digital portion of the campaign echoes the OOH creative and includes extended stories about the Legends on YouTube, along with unique digital extensions including partnerships with Waze and the Score app, further connecting to this year’s reimagined creative about the sport of Roll Up. For the first time, Tim Hortons is also encouraging Canadians to post pictures of their own legendary Roll Up moments on Instagram, Facebook and Twitter using #RollUpTheRim for the chance to win another Jeep Compass. The social piece of the campaign will also include feed posts and stories featuring unique Legends content¬¬, a promoted trend, custom Twitter emoji, along with a foray into branded Giphy animations. 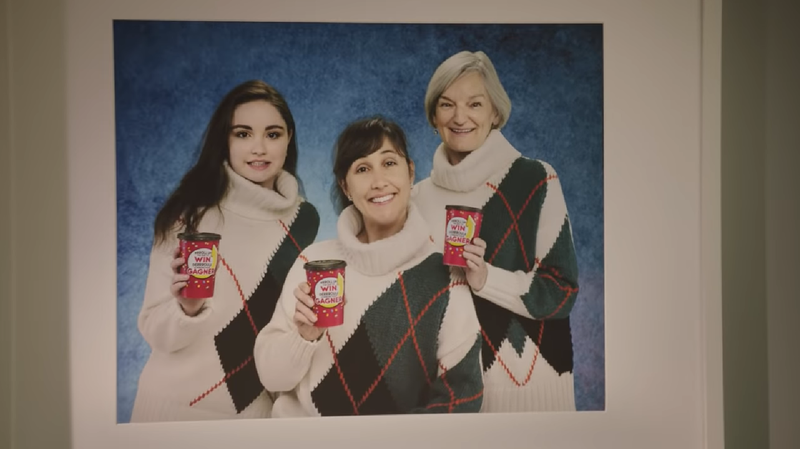 Tim Hortons developed the 2019 Roll Up the Rim campaign in partnership with Zulu Alpha Kilo and their integrated team of agencies: The French Shop, North Strategic, Horizon, and 500 Degrees. The director of the series of spots was Matt Atkinson from Steam Films. Tim Hortons, part of Restaurant Brands International, is one of North America's largest restaurant chains operating in the quick service segment. Founded as a single location in Canada in 1964, Tim Hortons appeals to a broad range of guest tastes, with a menu that includes premium coffee, hot and cold specialty drinks (including lattes, cappuccinos and espresso shots), specialty teas and fruit smoothies, fresh baked goods, grilled Panini and classic sandwiches, wraps, soups, prepared foods and other food products. Tim Hortons has more than 4,800 system wide restaurants located in Canada, the United States and around the world. More information about the company is available at www.timhortons.com. AdStasher: Tim Hortons and Zulu Alpha Kilo Want to Know if You’re Ready to Roll?